This weeks True North Landscaping Blog letter is D. Let’s get in the mood for Spring, shall we? 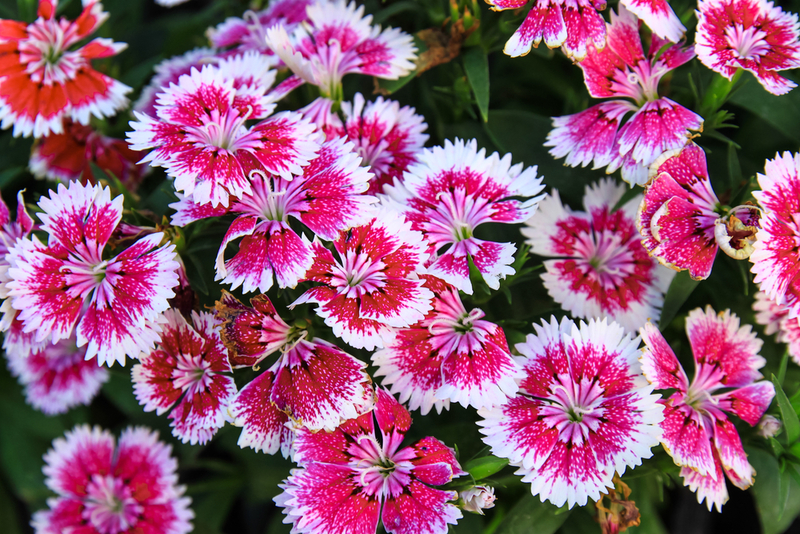 D – is for Dianthus. There’s a lot of great varieties of this beautiful ground cover perennial. A couple beautiful ones are ‘Cheddar Pink’ & ‘Firewitch’. Used as accents in mass plantings in your landscape or to edge a bed, Dianthus is a beautiful little Perennial! Full sun, & not TOO much water please! D – is for Flowering Dogwood! What says Indiana more than a Flowering Dogwood in full bloom? Well, maybe a Redbud, but that’s for later. Of the White Flowering varieties, it’s hard to beat a Korean or more commonly called, the Kousa Dogwood. If there’s only one best overall variety to plant in Indiana, the Kousa Dogwood is king. ‘Milky Way’ is a beautiful, heavy flowering cultivar of the Kousa, & another great white flowering variety is the Cherokee Princess. There are many other varieties in Red & Pink as well. They can be a little finicky to get established, especially when you get away from the white flowering varieties, but they can & will make it in Indiana with proper care & the right conditions. Dogwoods tend to like some shelter & are a great ‘understory’ plant (between 2 houses, anchoring the corner of a bed near a wall or foundation). That being said, I’ve seen them thrive in the middle of wide open front yards. Dig a good hole (nice & wide), say a prayer, & be diligent with watering until established. Remember the rule of thumb that a great gardening Client shared with me years ago… ‘Sleep (1st season), Creep (2nd season), & Leap (3rd season). Come see us in May to get your Dianthus & Dogwoods at the True North Landscaping Garden Center, or call sooner to come pick something out or have us deliver & install for you. Until next week, Cheers!